With water making up around 60% of our bodies, it’s vital that we maintain adequate levels of hydration. Our bodies depend on water to survive, with every cell, tissue, and organ needing water to work properly. With summer approaching, increased temperatures, outdoor activities, BBQs, festivals and long days in the sun, your chance of becoming dehydrated increases, as your body sweats and works to stay cool. While it might seem obvious, always carrying a water bottle with you will encourage you to keep sipping on water throughout the day. Keep a bottle on your desk at work, in your car or in your gym bag and you’ll have one with you wherever you go. In addition to our first tip, throw away any plastic bottles you might have and buy a re-usable water bottle that you like. Not only will you be helping the environment, but you’ll also be less likely to leave it behind and lose it. If you don’t like the taste of plain water, try infusing your water with fresh fruit. Limes, lemons, oranges, berries, or cucumbers are all good options to add some extra flavour and can make for a refreshing beverage without any added artificial sweeteners or preservatives. Just about everyone knows that late afternoon ‘I need a snack’ hunger feeling. Sometimes our brains confuse thirst with hunger, so next time the feeling strikes, hydrate before eating and your hunger pains just might disappear. 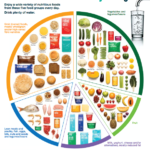 20-30% of our daily water intake should actually come from food. All fruits and vegetables contain some amounts of water, with cucumbers, celery, tomatoes, capsicums, watermelon and strawberries all being made up of more than 90% water. Just another reason to eat your fruit and veggies! If you’re someone that struggles to remember to drink water, drink on a schedule. Have a glass of water when you wake up, at breakfast, lunch, dinner and before bed. You can even set alarms on your phone throughout the day for a friendly reminder. Coconut water is packed with potassium, magnesium, sodium, and calcium. It can replenish lost fluids and electrolytes from exercise and hot summer temperatures, and is a good alternative to sugary sports drinks. During exercise, the main way the body maintains optimal body temperature is by sweating. Sweat production results in body fluid loss, making fluid intake extra important before, during and after a workout to replace what has been lost.